Life with an 8 month old can be described in a lot of wonderful ways. However, rested, bright eyed, rejuvenated and energetic are not any of the adjectives I would use to define life at the moment. When I was pregnant men and women were constantly giving me advice regarding my pre-baby sleep. They would say things like “sleep now,” and “sleep as much you can.” I couldn’t figure it out. Did they have some sort of sleep capsule that allowed you to store unnecessary hours of sleep from pregnancy only to be tapped into when you are walking around like a zombie 4 weeks postpartum? If so, that was the information I wanted. That would have been useful! What I think they meant was, “ENJOY your sleep now” because after your baby arrives you would give almost anything for that beloved 8 hour stretch. Sweet Ruby had a week and a half stretch of sleeping from 7:00 pm – 7:00 am. It was glorious. I was waking up alive and ready to conquer the world instead of groggy and wishing for another 30 minutes. Fingers crossed that she remembers how great that week and half was and that we get back there soon. Ruby is waking about once a night, she eats and instantly falls back asleep. I have read mommy blog after mommy blog and even ordered a sleep training book to try and conquer these middle of the night feedings once and for all. However, the problem is not her, it’s me. Ruby has always been on the petite side and was not on the pediatrician’s percentile chart until she was 6 months old (15th percentile - woohoo). Meaning, I have always been conscious of her food intake. Even though she is growing, thriving, and hitting all of her milestones I cannot help but jump at the opportunity to give her just one more bottle (even if it is 3:00 am). Maybe when she’s 25 I won’t be so concerned, and can get some sleep. But probably not. With sleep now the ultimate luxury I try to treat it that way. There are a handful of things that make the sleep I do get, the best kind of sleep. Going to bed comfortable and relaxed make for that kind of night. Hydrating masque - This Kiehl's masque is the ultimate thirst quencher for dry skin. It has a wet, gelatinous consistency making it best to use overnight, guaranteeing you wake up with dewy skin. 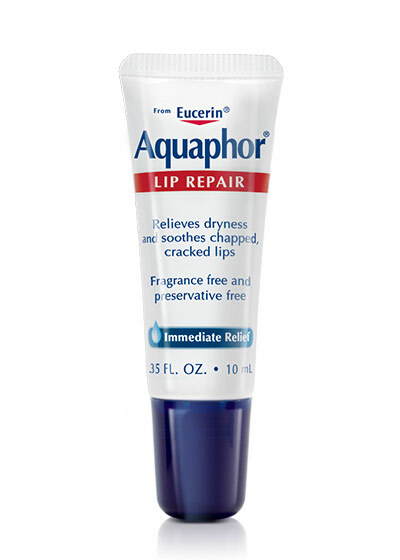 Lip Balm - Aquaphor lip repair is hands down my favorite lip treatment. Applying this every night keeps my lips soft and crack free all winter. 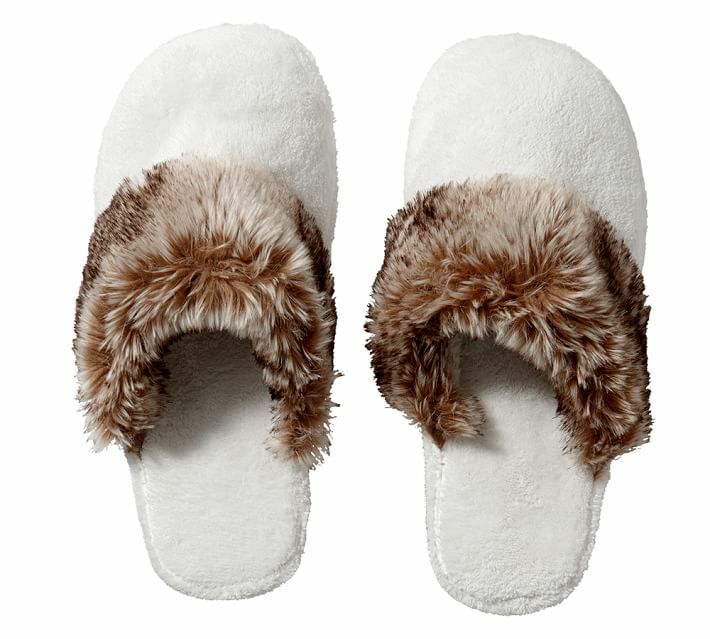 Slippers - Soft, fluffy and most importantly, warm! Because hardwood floors and bare feet in the dead of winter will make anyone cranky. Purity face wash - This face wash by Philosophy makes my face feel CLEAN. As in, it has never been outside or worn makeup clean. Humidifier - This humidifier was a Christmas gift and I am in love. My favorite feature is its size (it's tiny, and unassuming). Falling asleep with a humidifier leaves my skin soft and vibrant, and helps to keep my sinuses clear. Essential oil - A drop or two of this essential oil makes our bedroom smell divine. I am currently loving Four Thieves essential oil thanks to its airborne bacteria fighting ingredients. Stay away colds! 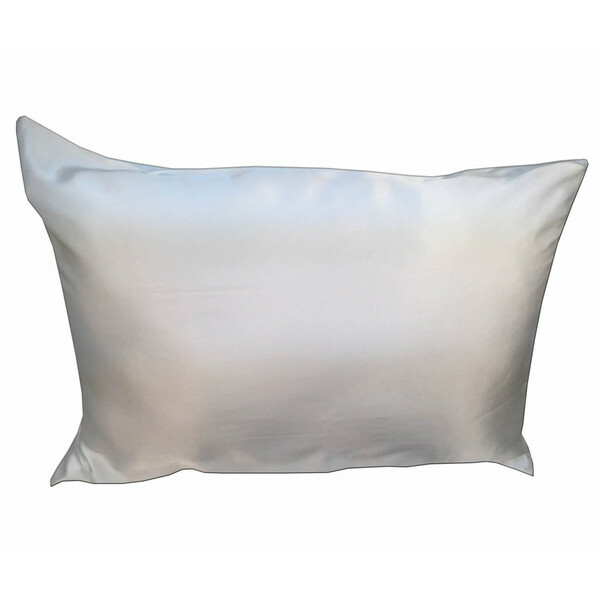 Silk pillowcase - Ahh, just because falling asleep on silk is my favorite. The hair and skin benefits are just an added bonus! Under eye treatment - Let's be honest. Genetics and sleep deprivation have not been kind. 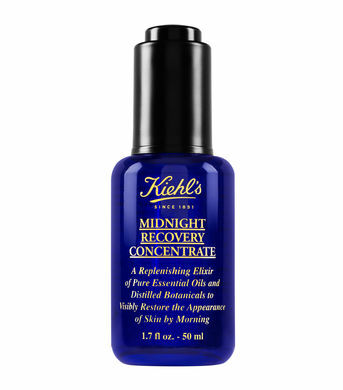 This little bottle is a new investment and so far I am LOVING it - I really do notice a difference the morning after I apply this Kiehl's eye cream. Plush robe - The keyword here is plush. It makes shuffling down the hall in the middle of the night and waiting for a bottle to warm up much cozier.